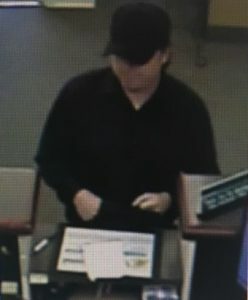 The Camden County Prosecutor’s Office and Berlin Township Police Department are seeking the public’s assistance in identifying a man who robbed a bank on Thursday, July 6, 2017. 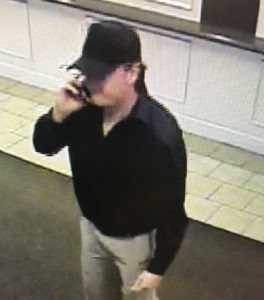 The individual entered the Fulton Bank located at 201 Route 73 in West Berlin Township around 4:15 p.m. on Thursday and passed a demand note to a teller. 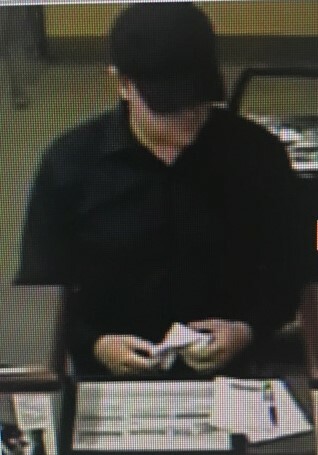 He received an undisclosed amount of cash and fled on foot and was last seen headed north on Route 73. The individual is described as a white male, approximately 40 years of age with long hair that is possibly brown or dirty blonde in color. He was wearing a black baseball hat, black t-shirt, khaki pants, black sneakers and carrying a dark backpack. 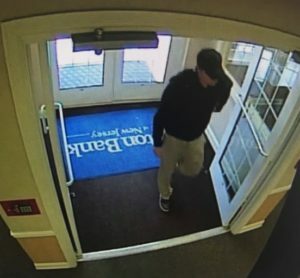 Surveillance photos of the man are posted below. Anyone with information is urged to contact Camden County Prosecutor’s Office Detective Marty Farrell at (856) 225-8424 or Berlin Township Police Department at (856) 783-4900. Released Friday, July 7, 2017.